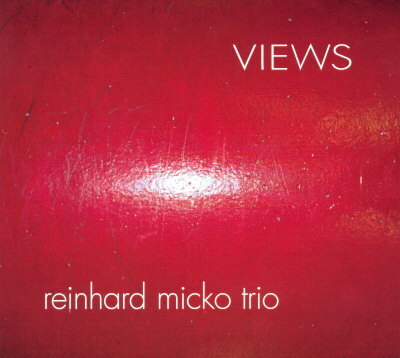 Reinhard Micko is a pianist whose music seems to thrive on focus and perfectionist concentration. His third recording tackles the widely explored field of the classic Jazz Piano Trio, i.e. the interaction of piano, bass and drums. Although there are many who claim the possibilities of this particular constellation have all been covered in past endeavours, there still remain whole new worlds of colour, atmosphere and motion open to persistent and sensitive sound searchers. Micko does not seek to suppress borders or to expose new ground - rather, his inquiring mind turns to the inside, drilling deep into the well-charted field of tonal piano trio music. With his partners Matthias Pichler and Klemens Marktl, he ventures underneath the surface of harmonic and melodic structure, assessing each and every note’s emotional potential and coherence, thus endowing it with meaning and ridding it of cliché. Notes are not merely being played, they are felt and expressed, lifting the music above the sometimes tiresome routines of mainstream jazz. This applies to both standards and original compositions: in „Spring Can Really Hang You Up The Most“, Reinhard Micko engages in suspenseful abstraction of the base material, little by little feeding the familiar melodic substance to the listener as the track progresses, building on a delicate rhythmic grid that organically develops throughout the take. „Autumn Leaves“, on the other hand, shows up as a newly harmonized “re-composition”, laden with heaps of counterpuntal motives - you haven’t quite heard Joseph Kosma’s popular song played this way before. In tunes like “Why 2 K”, it is this focus on expression that allows Micko to generate ideas whose organic and structural plausibility belie their spontaneous conception. Reinhard Micko shows that any material can be shaped into something worthwhile, as long as the mind is persistent - and able.